Automakers have recalled about 1.7 million vehicles as part of the ongoing campaign to replace Takata Corp. airbag inflators. According to the Associated Press, the callback announced Friday by the U.S. government includes Subaru of America, Tesla Inc., BMW, Volkswagen Group, Daimler Vans, Mercedes-Benz and Ferrari. 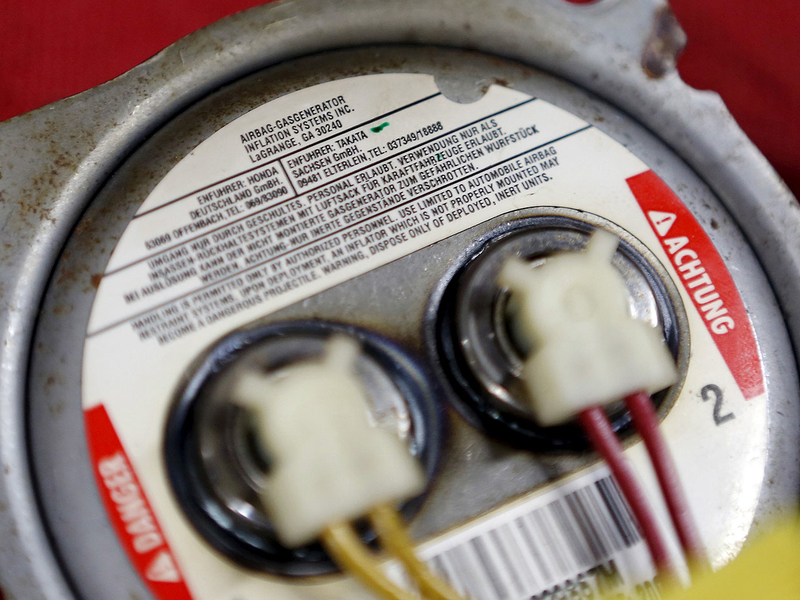 About 10 million inflators will be recalled in the U.S. this year, with about 70 million recalled by the time the recall ends in late 2020, the AP reported. Dominik Infante, head of corporate communications for Subaru of America, told Automotive News on Friday it will call back 826,000 Forester, Impreza, Legacy, Outback, Tribeca and WRX vehicles from the 2010-14 model years. Infante said there have been no reports of accidents or injuries. Owners will be notified by mail in March, he said. Mercedes-Benz is recalling 288,779 vehicles from the 2010-17 model years. Volkswagen is recalling 119,394 VW Passat and Audi-brand models from the 2015-17 model years. BMW is recalling 266,044 vehicles from the 2000-04 and 2007-15 model years. Daimler Vans is recalling 159,689 vehicles from the 2015-17 model years. Tesla is recalling 68,763 Model S vehicles from the 2014-16 model years. Ferrari is recalling 11,176 vehicles of various models from the 2014-18 model years. A breakdown of the number of each nameplate involved in the recall was not immediately available. The National Highway Traffic Safety Administration on Friday told Automotive News it will publish a statement on the recalls. According to the AP report, Ford, Honda, Toyota and Fiat Chrysler announced their 2019 Takata recalls, encompassing more than 5 million vehicles. Faulty Takata airbag inflators may explode and shoot shrapnel toward vehicle occupants, potentially resulting in injury or death. So far, 23 deaths — 21 in Honda Motor Co. and two in Ford vehicles — and more than 290 injuries worldwide have been linked to the defective inflators. The 10-year-old Takata crisis sparked the largest safety recall in auto industry history, involving about 100 million inflators among 19 major automakers. The recalls have been scheduled in phases and managed by NHTSA. According to NHTSA, about 37 million vehicles equipped with 50 million defective Takata airbags are under recall because of this defect.